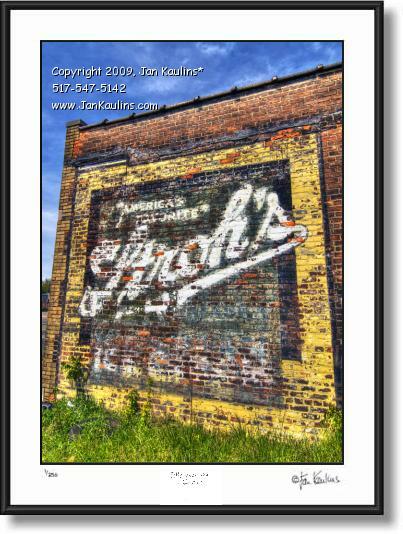 Vintage STROHS BEER ghost sign DETROIT photo picture art print for sale. This VINTAGE DETROIT STROHS BEER advertising ghost sign for sale is of an old painted Stroh's Beer advertising sign on the side of an old building that was uncovered when the building adjacent to it was demolished. This Detroit ghost signs for sale are rapidly disappearing and are often covered with grafitti or painted over. This is an iconic DETROIT STROHS BEER product sign.